I learned an important lesson about prayer during my early twenties. A friend asked for a ride to church. How could I say “no”? Who refuses to give someone a ride to church? I felt obliged to agree. The problem was (well, this is kind of embarrassing now) I found her somewhat irritating. My irritation grew stronger because I felt obligated. I have no idea why she irritated me. I can only attribute it to the immaturity of my emotions and Christian life at the time. I mean, who gets irritated about taking a friend to worship? I decided I would pray for her. “God answers prayer,” I reasoned. “Surely He will answer my prayer and respond to my sacrificial gesture by making her less irritating.” (I know, you can probably hear the immaturity in that line of reasoning. What can I say? I was young.) So, I began to pray for her…and she never changed! Something did happen though; something I didn’t foresee. When I began to pray, I became less irritated. I began to enjoy her companionship. God drove those words into my heart like a stake. Sheepishly, I apologized. Graciously, she accepted my apology and we continued on our way to worship. No, we did not fall in love and get married. We did remain friends until she moved to another state and we lost touch. Now, we follow one another on Facebook. I remember her as someone who taught me a very important lesson about prayer. She taught me that prayer changes things. Most importantly, prayer changes the person praying! As I prayed for my friend, God graciously changed me. He softened my heart. He opened my eyes. He clarified my thoughts. He led me to accept my friend, acknowledge her strengths, and recognize her beauty. Your opportunity to humbly approach and commune with God. He longs to spend time with you. Prayer is an opportunity to intimacy with Him, a time to deepen your understanding of His love. Further, we tend to become like those with whom we associate. This is an added incentive to spend time with God. Commune with God and you become more like God. A time to open your heart to God’s gentle healing. We each encounter insults and disappointments. Those disappointments and harsh experiences can leave us bruised and scarred. Our Father will heal those injuries as we spend time with Him. And, when God heals, He heals miraculously and abundantly. A time to invite spiritual surgery. For whatever reason, bitterness, resentment, anger, arrogance, insecurity, and defensiveness may have taken root in your life. These roots will interfere with—and even sabotage—your marriage if they are not removed. In prayer, we open our hearts to God’s holy scalpel, allowing Him to carefully remove those roots and freeing us to love in the way He loves us. A time to allow Him to change you. God does change things when we pray and He begins with you! Click here to learn more about my newest book, For His Eyes Only. Children are not our puppets. We cannot control them. (Learn more in Children Are Not Our Puppets.) 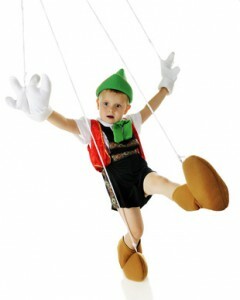 In fact, if we hold our children on puppet strings, we do them a disservice. We interfere with their healthy self-image, intimate relationships, and ability to assertively take a stand for what they believe. What can you do as a parent to cut the puppet strings and let go? What can you do to keep your children safe while not controlling them? These five actions can help you let go of over-control while encouraging your children to mature. Get curious. Encourage conversation with your children. Learn about their interests and opinions by asking open-ended questions. Learn about their friends, their dreams, their fears, their hobbies. Our children are fascinating! Get curious and learn about them by talking with them often. Get your own life. Don’t live your life through your children. Don’t encourage your children to fulfill your dreams. Get your own life and let your children have their life. That will mean allowing them to become involved in activities without you. It will mean allowing them to meet other adults they can look up to and go to for advice. Let your children have their own life may mean allowing them to have no interest at all in something you find exciting. Let your children have a life that is separate from your life. Be consistent and flexible. Children need us to be consistent in our love for them and our expectations of them. They need to know the rules and the consequences of breaking those rules. As they grow, they benefit from knowing the reasoning behind the rules as well. Our children also need us to be flexible. They need to have the opportunity to talk about the rules and give their explanation for why they believe an exception or a change is called for as they mature. They need to know we will listen and consider their opinion. They need to know we are willing to make changes in the rules or expectations when they make sense and show maturity. We grow as they grow. The rules changes as we all mature. Accept their choices. Children and adolescents need to make choices. Let them make age appropriate choices. You may not let your preschooler choose where to go for vacation, but let them choose between two outfits to wear for the day. As your children grow, let them have more choice and responsibility. They might make choices you disagree with. Sometimes these choices are merely opinion, like whether to wear a pullover shirt or a button up shirt. Other times their choices will just be wrong. When these wrong choices are not dangerous or life threatening, accept them. They will suffer the consequences. Let them. We learn when we make wrong choices and experience the results. Lean in. No matter what your children do, lean in to your relationship with them. Our children really need to know we want a relationship with them when they do suffer consequences for bad choices. They need to know our love is unconditional. When they do something that makes you proud, lean in to the relationship. When they make a mistake or fail, lean in to the relationship. When they disobey and you have to discipline them, lean in to the relationship. For love covers a multitude of sins. These five practices can help you cut the puppet strings and train your children to become real boys and girls. No, they will become even more than that. They will become mature and responsible young men and women. Our children taught us an important lesson when they were mere toddlers. It’s true. I remember the lesson clearly. They told us by their actions and words: “We are not your puppets. You cannot control us.” They remind us of this fact every time we offer to help them and they say “No, I do” in their broken toddler English…or, when we tell them not to do something and they smile at us before doing it anyway. Children are not our puppets. They will not allow us to control them. We fear for our children’s safety so we control their actions with rigid rules and expectations. In an effort to protect our children from emotional pain and hurt, we hover over their lives and become involved in every activity and stick our nose in all their drama trying to control every outcome. In anger at their disobedience or “attitude” we step back, distancing ourselves and withholding love at a time when they likely need to know our love is unconditional and never ending. I’m sure you recognize some of these actions in yourself. I know I do. We attempt to control our children out of fear. Nonetheless, our children are not our puppets. They will not be controlled. Like Pinocchio, they do not want to be puppets. They want to be “real” boys and girls. Controlling our children crushes their self-confidence. It leaves our children with a chronic sense of guilt, a belief that something is inherently wrong with them…that they are bad. Children who grow up with over-controlling parents tend to be hypercritical of themselves and others. Critical of themselves, they struggle with a positive self-image. Critical of others, they can struggle with friendships. Since over-controlling parents make every (or almost every) decision for their children, their children become dependent. They do no learn to think independently and make their own decisions. They rely on others to do their thinking for them. Since over-controlled children do not learn healthy ways to assert themselves and confidently express their opinions, they have greater difficulty in relationships when they become adults as well. Our children are right. They are not our puppets. We do them a disservice when we attempt to control them. We interfere with them developing a healthy self-image, intimate relationships, and the ability to assertively stand up for what they believe. What can a parent do to cut the puppet strings and let go of control? Read Cut the Puppet Strings to discover five actions that will do the trick! Parents have a huge responsibility. We are responsible for the next generation, the future of our society. The relationships we build with our children will shape the world in which we grow old. The unspoken values we pass on to our children will impact how future generations interact, resolve conflict, and share resources. The subtle ways we treat our children will determine how they view themselves and how they treat others. So, I have to ask: Are you a chipper or a sculptor? Do you carelessly chip away at your children and our future? Or, do you carefully sculpt your children in an effort to bring forth their inner strength and virtues? 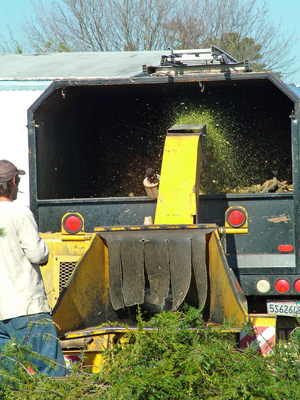 Part 1 of this article discussed the impact of a chipper on our children and our future. What are sculptors like? Sculptors strengthen children’s sense of value by becoming students of their children. They are intensely curious about their children and seek to learn the intent and motive behind their children’s behavior. As a result, sculptors take the time to listen and learn as well as discipline and teach. They discipline inappropriate behavior while teaching alternative and more appropriate behaviors. As parents learn about their children, their children feel valued. They come to see themselves as valuable. They become more willing to let themselves be known and heard. As a result, parent-child relationships grow more intimate. Sculptors forge children who feel competent and capable. They do this with the fires of appreciation and acknowledgement. When a sculptor sees some positive intent or good motive, he appreciates it. He acknowledges that good intent. In response, children increase their tendency to act upon positive intent and good motives. Appreciating and acknowledging positive behaviors also informs children they are competent. Children who are appreciated and acknowledged come to see themselves as capable of achieving and making independent decisions. Sculptors shape respectful behaviors. This shaping process begins with a description of any problem behavior that arises…and problem behaviors will arise. Describing children’s problem behavior separates the behavior from the children’s character. Describing the problem behavior informs children that you saw the problem behavior. They did not “get away with it.” There may be consequences. Along with the consequences, sculptors teach alternative, more positive behaviors to use in response to similar situations arising in the future. Sculptors expand children awareness by pointing out the impact of their problem behavior on other people. Doing so teaches children to be aware of other people and their impact on them. It teaches them to think about others before acting. It teaches them to be respectful of others. Sculptors produce resilient children by encouraging effort. Encouragement of effort becomes the internal dialogue of a sculptor’s child. As a result, children of sculptors can recover from failed attempts. They learn from these attempts and jump at the opportunity to “try again.” These children also learn to encourage others. They come to believe that success is a result of effort and there is enough success for everyone, no need to feel jealous. So, they encourage other people’s efforts and rejoice with those who rejoice. Consider the future created by sculptors. Children grow up feeling competent. They have learned how to be respectful and aware of others. Their relationships flourish as they take other people into consideration before acting. At the same time, they are comfortable achieving and love to try new things. They seek out new opportunities, innovation, and progress. When others succeed, they celebrate. When they succeed, they share. Relationships grow more intimate as verbal communication is filled with appreciation, acknowledgement, and encouragement. This is a much more inviting future than the future created by chippers. 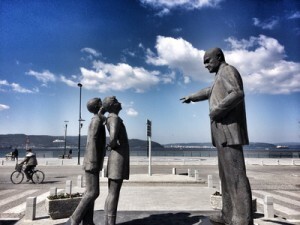 So, I ask again: Are you a chipper or a sculptor when it comes to parenting? Parents carry a huge responsibility. We are responsible for the next generation, the future of our society. The relationships we build with our children shape the world in which we will grow old. The unspoken values we pass on to our children will impact how future generations interact, resolve conflict, and share resources. The subtle ways we treat our children will determine how they view themselves and how they treat others. So, I have to ask: Are you a chipper or a sculptor? Do you carelessly chip away at your children and our future? Or, do you carefully sculpt your children in an effort to shape their inner strength and virtues? Chippers criticize…a lot. Overly critical parents can see results of their criticism if they take an honest look. Let me describe some of the signs a chipper might see. Criticism chips away at children’s sense of competence. Overly criticized children feel inadequate and incompetent. They feel nothing they do is good enough; and, as a result, they are not good enough. Children who receive constant criticism come to believe there is something wrong with them. Criticism splinters parent-child relationships. Children fear criticism and, to protect themselves, will withdraw from anyone who might criticize them. If they fear a parent will criticize them, they will withdraw from that parent. They will hide any part of themselves they believe their parents will criticize. As a result, their parents cannot know them completely. They will maintain a distant and self-protective relationship. As criticized children withdraw from their parents to avoid criticism, parents also lose any opportunity to influence their children. Criticism shatters children’s self-confidence. It replaces self-confidence with a nagging doubt about personal ability to achieve or make independent decisions. This doubt turns to fear in the face of new opportunities that carry risk (and all opportunity carries some risk). As a result, overly criticized children procrastinate. They avoid novel tasks and opportunities. They miss out. Criticism becomes a twisted internal dialogue that fuels self-doubt and maintains an inadequate self-concept. The more criticism children receive, the smaller, more insignificant, and less capable they will believe themselves to be. Criticism eventually batters other people and relationships. The criticism bouncing around in our children’s minds and whittling away at their own sense of competence eventually overflows to slash at other people. Criticism begets criticism and relationships are devastated. Think about the future overly critical parents (chippers) create by criticizing their children. Chippers create a future filled with grown children who feel inadequate and incompetent. As a result, these children withdraw and engage in superficial relationships that enable them to hide the most significant and meaningful parts of themselves from others. Loneliness ensues. Self-doubt replaces the drive to grow and learn with feigned satisfaction with a tiresome status quo. Fear of failure hinders exploration, invention, and the progress that comes from sharing related discoveries. Innovation is hindered. Relationships become marked by critical banter at best and, at worst, harsh criticism and hateful remarks. We, as parents, can help avoid this future by becoming sculptors instead of chippers. Sculptors…well, read part 2 to learn how sculptors shape their children for a better future. You have a gift your child needs, an ability she cannot live without. Giving your child this gift will result in an ability she will cherish for a lifetime. She will reap the benefits of this gift over and over as it “keeps on giving.” This gift reveals the extent of your love for your child and flows from the depth of your life experience. Very simply, this gift is the gift of emotional regulation–the ability to be aware of and attend to our emotions, to understand and label those emotions, and to manage them in the service of reaching our goal. When your child learns to recognize, attend to, label, and manage her emotions, she will have more joy and peace, greater academic success, and better social relationships. She will also be better able to respond to situations that arise in life. Even better, you will discover that emotional regulation has contributed to deeper intimacy between you and your child! To give the gift emotional regulation a parent must do several things. Model emotional regulation in your own life. Let your child see how you use the passion of anger to resolve an injustice or the energy of concern to accomplish some legitimate goal. Allow your child to witness your strength and courage in soothing your cantankerous emotions, enjoying your cheerful emotions, and expressing your painful emotions. Match your child’s emotion. You can match your child’s emotion by expressing a level of animation similar to the one your child expresses. Don’t mimic or mock. Simply be aware. If your child has little animation because of sorrow, don’t try to cheer them up with an upbeat tone of voice. Instead, let your tone express a sadness similar to your child’s. When your child is bouncing around with excitement, respond with an excite tone rather than one of agitation. You get the idea. Match your child’s emotion by matching her level of animation. Don’t wander to safer subjects, drift to happier topics, or try to shift to some more enjoyable emotion. Attend to your child’s emotion state and whatever topic or situation triggered that emotion. Pay attention to whatever your child is focused on and stay focused on that until you reach understanding. Call it as it is. Steps two and three will help you understand your child’s emotion. Simply feeling understood will help your child better manage her emotion. Now take it one more step. Label your child’s emotion. Call it as it is: anger, excitement, confusion, sadness, joy, rage, etc. Find a name for that emotion that resonates with your child’s experience. Call it as it is. Accept your child’s emotion. As you label each emotion, you communicate that emotions (all emotions) are acceptable. Limits must be set around the expression of emotion, but the emotion itself is acceptable. Accepting and labeling your child’s emotions also informs your child that you are not overwhelmed by her emotion. You are more powerful than her emotion. You can manage her emotion and help her learn to do the same. Make a plan. Once your child feels understood and her emotion has a name, problem-solve. Help your child determine what priority her emotion reveals. Explore the most effective way to communicate that emotion and the related priority. Plan ways to utilize the energy of that emotion to reach your child’s goal in an effective and healthy manner. As you practice these six actions with your child, you will experience two immediate results: 1) greater intimacy with your child and 2) the joy of watching your child mature. As time goes on you will witness many other benefits—improved academics, better social interactions, and greater self-control to name a few. You will have given your child a great gift—emotional regulation. Provides a framework for our goals. Being part of something bigger provides us with deeper values to live by and higher goals to pursue. Serves as a compass in our lives. Meaning gives us direction and consistently guides us through the storms and waves of life. Comforts us. Knowing events in our life, good and bad, ultimately work for good in the hands of Someone larger than us provides us a sense of comfort in times of trouble and stress. Connects us. Becoming a part of something bigger than ourselves informs us that we are not alone. Other people are “in this” with us. Other people share the greater meaning with us. Together, we support one another and help one another carry any burdens that arise. Meaning provides us a framework, a compass, comfort, and connection. This adds up to greater happiness, not just for you but your whole family. That’s right: you can increase happiness in your family by infusing your family life with meaning. Here are four ways to get started. Practice kindness. Show kindness to your family every day. Model kindness to those in your community. Find ways to practice kindness as a family, like baking cookies for an elderly person or shoveling the driveway of a neighbor. Make kindness a way of life for you and your family. Choose a volunteer activity to become involved in as a family. You might volunteer to help your church, a local food kitchen, your local school, your community park, or an organization like Habitat for Humanity. The possibilities are limitless. Gather your family and find a way for your family to help others. Acknowledge the transcendent. Gather your family and enjoy the sunset. 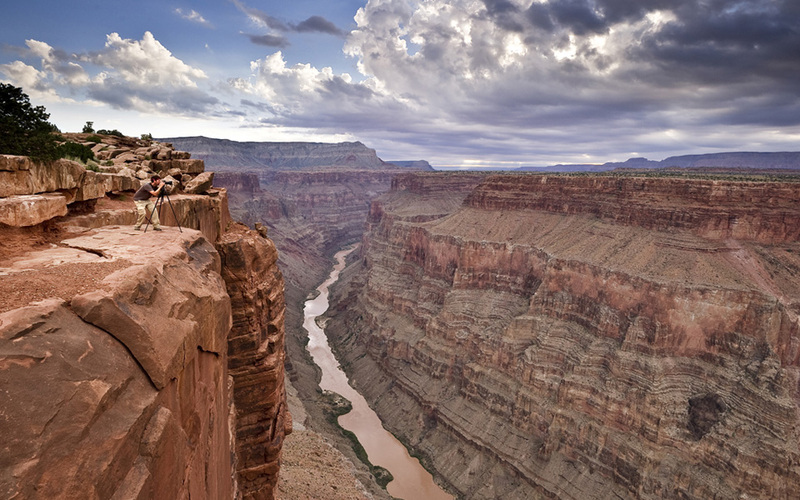 Stand in awe before the majesty of nature…together. Talk about the beauty of art and music, the vastness of space, the complexity of the human body…. Share whatever you find mysterious, boundless, or awesome with your family so you can stand in wonderment and realize that you are part of something bigger. Practice your faith as a family. Pray together. Worship together. Share new insights with one another. Encourage. Support. Acknowledge God’s work in your life and in your family’s life. Rejoice together in the meaning your faith adds to your family. Engage in these four practices with your family and you will find your family becoming part of something bigger. Your family will perceive more meaning in your individual and family lives. Your family will experience greater happiness! I have heard people say “What doesn’t kill you makes you stronger.” I’m not sure I like that saying, but there is some truth in it. Not only will it you stronger, it will make you happier as well. That’s right. Happy people are resilient people. Happy people bounce back. They learn from adversity and grow stronger through it. That’s true for families as well as individuals. Happy families, like happy individuals, bounce back and grow from adversity. So, if you want a happy family, build a resilient family. How can you help your family develop resiliency? Try these five ideas. Support one another. Families that support one another have greater resiliency. Support one another in pursuing interests. Support one another through difficult circumstances. Support one another in times of joy as well. Rejoice with family members who rejoice. Weep with family members who weep. Problem solve with family members who face problems. Encourage one another. Supporting one another demands that you develop an intimate awareness of the lives of your spouse and children. So get involved. “Humble up” and ask for help. Model your willingness to let others help you. Let your spouse and children experience you asking them for assistance, advice, and support. Sure, you may feel vulnerable asking for that assistance. However, your spouse and children begin to see how important they are in your life and how much you value their input. They will also learn that resilient people seek out and accept help when needed. Be the role model for resilience by asking for help. Think straight about failure. Failure is not the end of the world; it is temporary. Failure is not the end of the road; it is the beginning of an adventure. It is a learning opportunity. As such, you can celebrate failed attempts and the lessons learned from those attempts. Celebrate the lessons learned, modify your effort, and do it again. That is bouncing back. That is resilience. That will bring greater happiness. Recall family stories of adversity overcome. Every family has stories about overcoming adversity: the aunt no one thought would finish school but did; the grandfather who overcame alcoholism; the mother who struggled with reading in school but eventually learned to read and now enjoys it; the father who overcame inadequate material resources to finish college…. You know the stories in your family. Share them with one another and point out the fact that overcoming is in your blood. You can bounce back just like others in your family have bounced back. Celebrate family victories. Victory means much more than success. In fact, the greatest victories may come in the face of obstacles and seem like “just getting by” at first. However, on further observation you will find that these times of “just getting by” laid the groundwork for greater victories to come. So, celebrate when family members overcome difficulties. Celebrate when family members put effort into some pursuit. Celebrate “come back” experiences, effort invested, and attempts made (whether “successful” or not). Celebrating these experiences is celebrating resilience! I still remember the day it happened. My daughter came home raving about her teacher. She loved him. He was the “best teacher eh-verrrr.” In fact, he was a good teacher. She learned a lot from him. But, he really wasn’t THE best teacher she ever had. I know because the best teacher any child ever has is not a teacher from school. The reward for “best teacher ever” in a child’s life actually goes to (drum roll please)…his parents. It’s true. Parents can’t help but teach their children. Even if they never teach a single formal lesson, their child will learn more from them than any other teacher he will ever have. Parents teach the most important lessons of life—like values, priorities, how to manage emotions, how to manage difficult situation, etc.—on a daily basis. That whole “daily basis” idea is why parents become the most important teacher in their child’s life. Only parents have the opportunity to “join with” their child in a variety of situations on a “daily basis.” Only parents get to “experience life” with their child “24/7.” From this position of “experiencing life together,” parent becomes the most powerful teachers in their child’s life. Parents, utilizing wisdom gained through their own life experiences, assist their child in managing the emotions of difficult experiences. Parents find their child acutely interesting and learn to know him very well. Based on knowledge of their child’s interests, parents can direct their child’s energies into safe avenues of adventure and joy. In other words, when a parent and child “experience life together,” a parent helps his child organize and understand himself and the world around him. let me say this very plainly: Parents, you are your child’s “best teacher eh-verrrr,” whether you like it or not. To help you enjoy the rewards of “best teacher ever,” follow these four tips. Join in, experience life with your child. Don’t lecture. Join instead. This means active involvement and participation in your child’s life. Stay calm. Remember, your child learns how to respond to emotions by experiencing them with you. If you rant and rave when angry, your child will most likely do the same. Let your example teach him to express and share his emotions effectively. Listen to your child. Listen to understand your child’s motivation, intent, and perspective. When you understand your child’s motivation and intent, you can explain your ideas in a way he can understand. In a sense, you have to understand your child’s way of thinking before you can explain your own more mature thought. Allow your child to be a child. Do not expect your 4-year-old to discriminate between what is real and what is magic or your 16-year-old to be excited about the same things that excite you. Instead, enjoy the magical world of your 4-year-old and share in those things that excite your 16-year-old, channeling those thrills in a healthy direction. 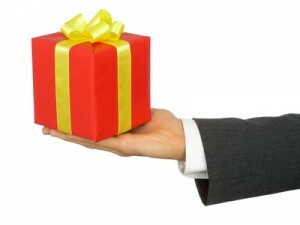 All children desire this gift, but very few cannot articulate it. This gift will provide your children with an amazing sense of security. Although it demands some effort, it will provide immeasurable benefits to you and your children throughout your lifetimes. In fact, your children will benefit from this gift even after you have passed away. Your grandchildren can even benefit from this gift! And, only you can give this gift to your children. Sounds like an expensive gift, doesn’t it? It does carry a price; but the price is mostly measured in the coinage of effort. What is this amazing gift your children desire? What is this gift that carries such great benefits with it? The gift of having parents with a healthy marriage! 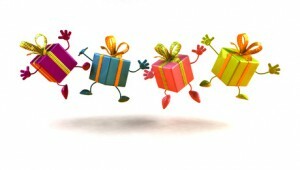 Let me “unwrap this gift” a little…just to give you a peek into its benefits. When a marriage relationship is filled with strained and succumbing to the pull of distraction, the home is filled with tension. When the home is filled with tension, children experience stress. Stress creates insecurity. A healthy marriage, on the other hand, lays the foundation for peace and harmony in the home. Children experience this peace and harmony as security. They feel safe. Moreover, children feel valued and worthy when outside distractions do not impinge on their family life. They desire to remain a part of this peaceful, harmonious home founded on a healthy marriage. When a marriage is filled with constant conflict and on the verge of collapse, the future of the family, your children’s safe haven, becomes doubtful. Children who have doubts about the future stability of their safe haven feel insecure. As a result, they invest all their energy trying to secure the pillars of their safe haven, you. They invest their energy in your happiness and your marriage rather than investing in their own growth and development, their maturity, and their future. When a marriage is strong and disagreements openly resolved, the future of your children’s safe haven is certain. With confidence in their family’s future, children feel secure enough to explore their world and their selves. They feel safe enough to invest energy in growing their interests and their healthy future lives, which will ultimately bring happiness to the whole family. When a marriage is in question and spouses at war with one another, children feel responsible to make peace. They assume a parental role and strive to become the one who negotiates peace between their parents. When they do not succeed (and they cannot succeed because it is beyond their ability to make peace between warring parents), children begin to feel guilty and anxious. They take the blame for their parents’ failure and unhappiness. They begin to feel inadequate since they cannot “fix” the family. They feel insecure both in relation to others (like their battling parents) and themselves (since they feel inadequate to fix even their home). In a strong marriage, on the other hand, children witness their parents resolving conflict and creating peace in the home. This peace produces a sense of security that allows “kids to be kids.” It provides a strong foundation from which children can explore, achieve, learn, and grow confident in the trustworthiness of those around them as well as a trust in themselves. You children desire the gift of living with parents who do the work necessary to build a strong, healthy marriage. Even more, they deserve this gift. When you invest in your marriage, you give your children the gift they desire more than they even know; and, you give them the added gifts of peace of mind, a sense of security, and a confidence in themselves and their future. Do your children a huge favor. Get your spouse and wrap up a beautiful, healthy marriage as a gift for them to witness and receive.